There are actually a couple of ways to delete a name from a list. 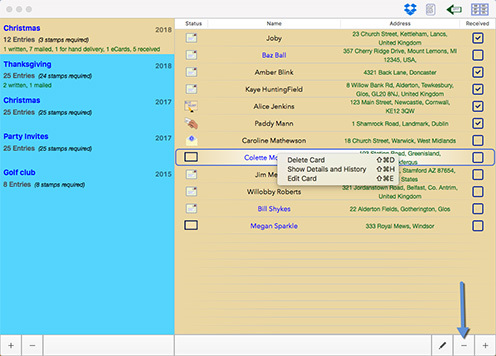 Right-click on the name to be deleted, and select Delete Card from the context menu. Click on the name (left click) to select it, and then click on the ‘-‘ button on the bottom-right of the screen.